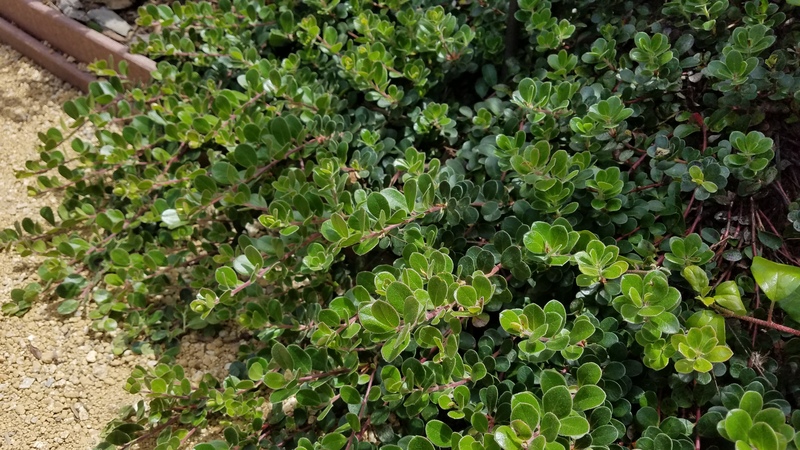 Native to Northern California to Alaska, growing low and rooting as it spreads, eventually forming a mat 15 ft wide. 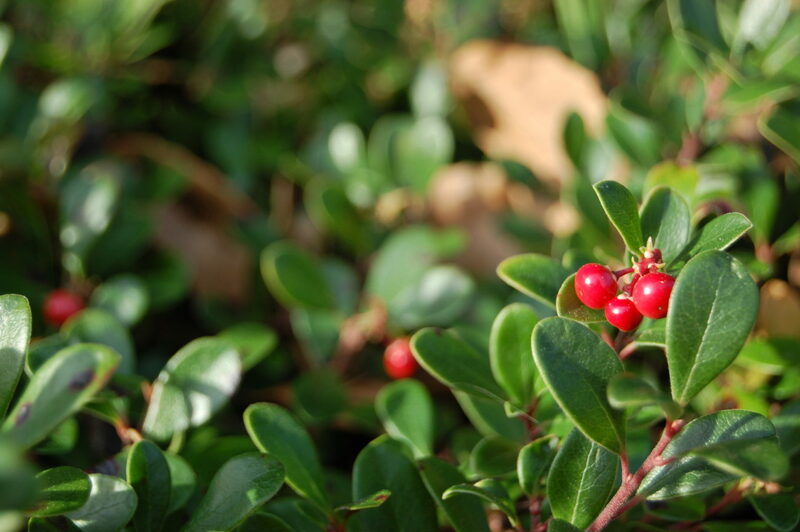 Small, glossy, leathery leaves are bright green and turn red or purplish in winter. 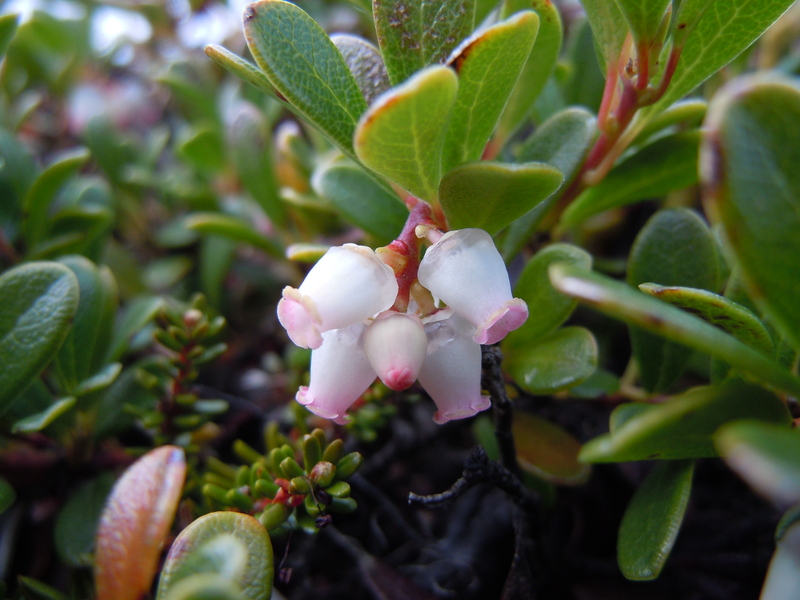 White or pinkish flowers are followed by red fruits. 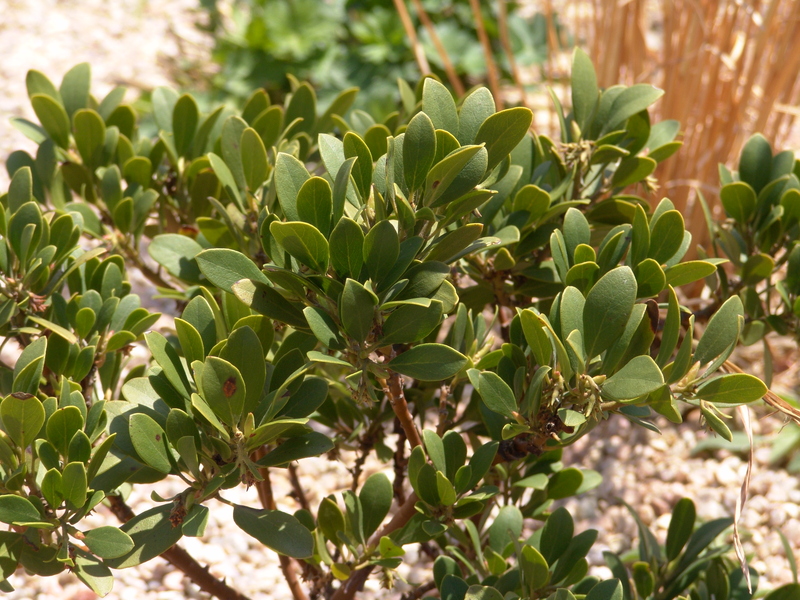 It is slow to become established, so mulch heavily between plants to suppress weeds until it covers the ground. 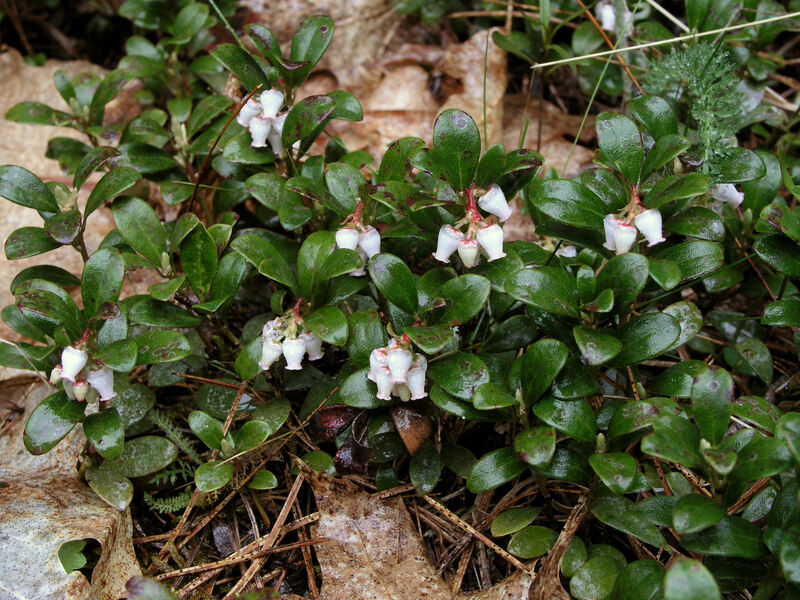 Needs acidic soil. 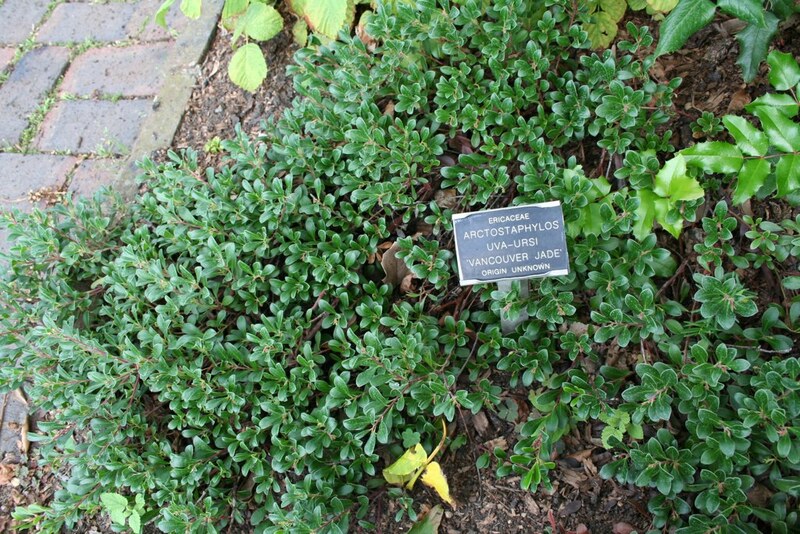 Many cultivars exist, including 'Green Supreme', 'Point Reyes', 'Radiant', ' Massachusetts', 'Vancouver Jade', and 'Wood's Red'. 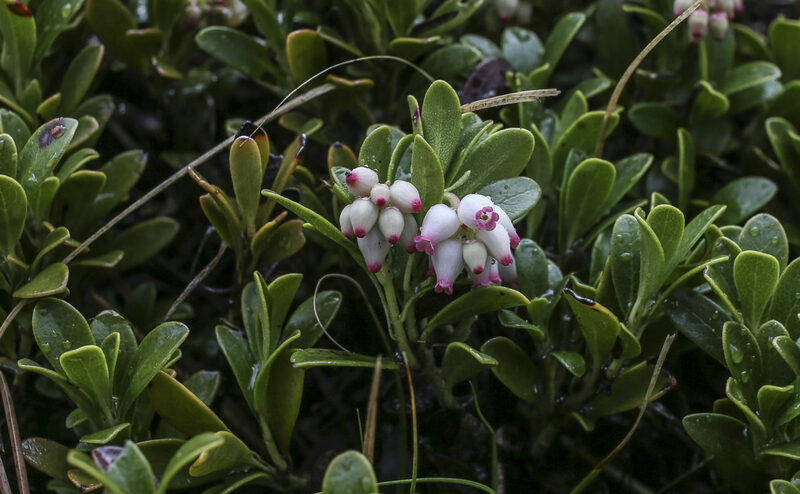 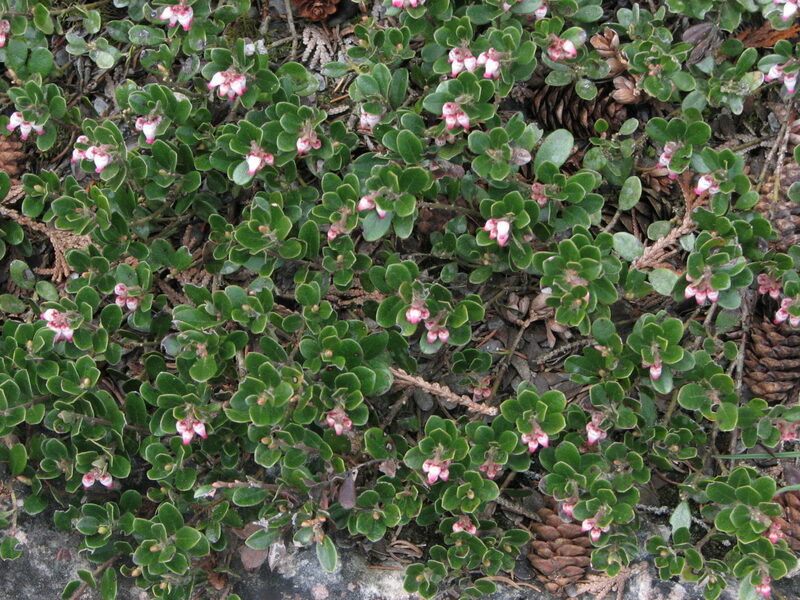 'Emerald Carpet' is a hybrid between Arctostaphylols nummularia and Arctostaphylos uva-ursi. 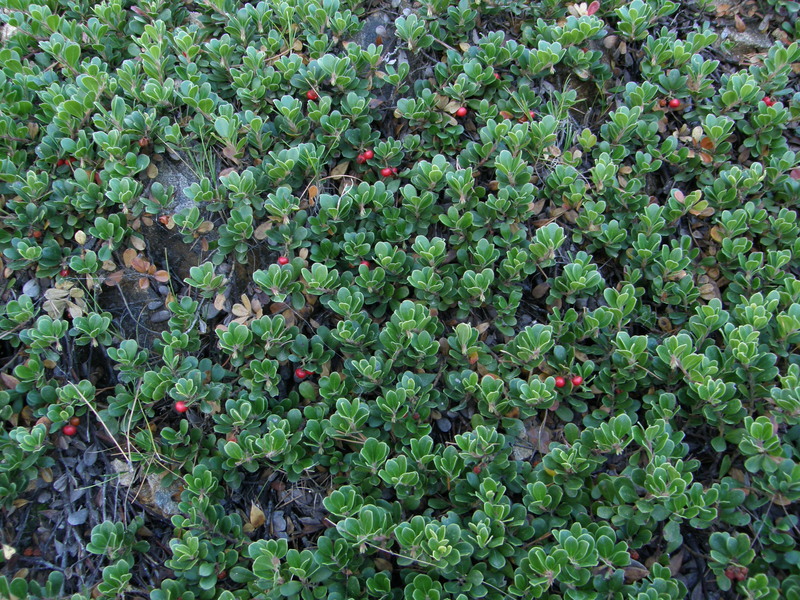 It is good as a groundcover between a lawn and more drought tolerant plants or as a non-walkable lawn substitute. 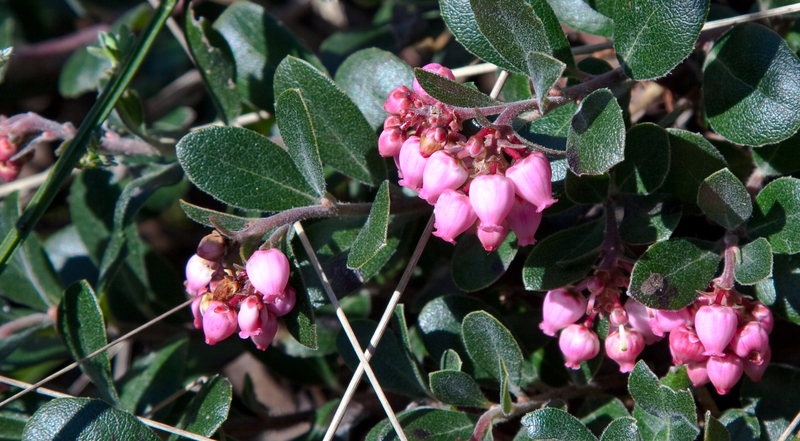 Arctostaphylos 'Emerald Carpet'. 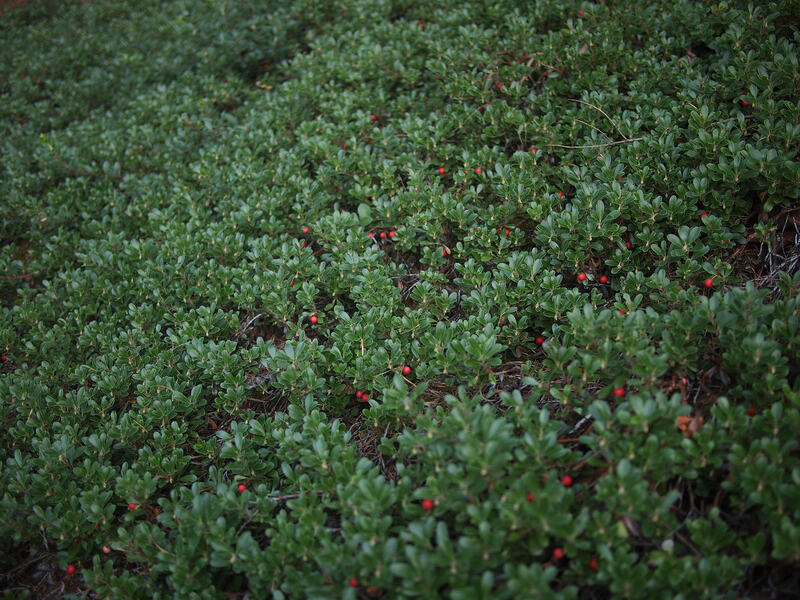 Photo by Stephanie Falzone.